out of (home port) Aberdeen, Scotland. 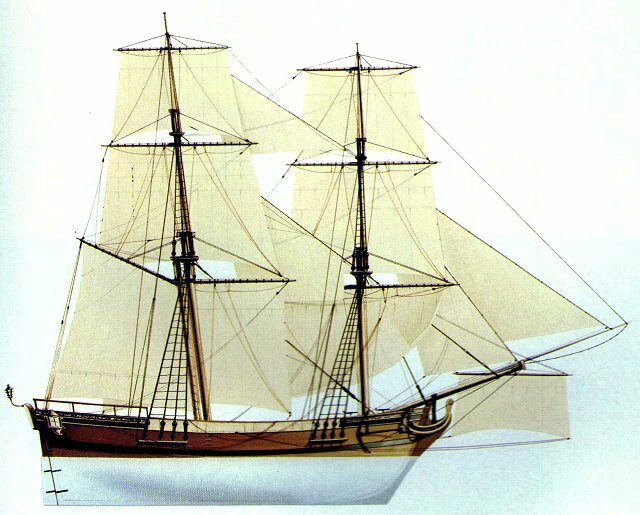 Voyage in 1741 to Philadelphia, Pennsylvania. William Weems, Master. Embarked Palatine "passengers/freights" in Amsterdam, Holland. Last port of call prior to sailing for Pennsylvania was Aberdeen, Scotland. Seeking information about origin villages in Europe for passengers on ship. and those standing and registered immediately before and after him on this ship list. See ship passenger list below. Research note: The English who governed colonial Pennsylvania generally called all German speaking immigrants Palatines in these early ship lists even though many of these immigrants did not actually originate from the Palatinate. Many came from other German principalities such as Baden, Wuerttemberg, and Hesse. Others were German speaking Swiss and French Huguenots. Thus, even though a ship list declared the passengers as Palatines one should not assume that all of them came from the Palatinate. Many did not. Also, even though the lists may state they were imported from a port in Holland one should not surmise these people were born in Holland. The ports of Holland were the embarkation point for many German speaking immigrants who traveled down the Rhine River from the German speaking principalities to emigrate to Pennsylvania and other English colonies in the New World. Often friends and relatives from the same village traveled to the New World together. Thus people registered on the arrival lists standing next to each other in line during the registration process in Philadelphia, Pennsylvania, possibly could be related or friends from the same village of origin. Typical sailing ship known as a Snow. The Thane of Fife would have looked similar to this. Palatines to America Home Page. An Organization Focused on Germanic Migration to America. Gabriel Jung (Gabriel Young), age 52. European Records: of Winterbach, (s.w. of Kaiserslautern), Rheinland-Pfalz (Palatinate). American Records: Arrived in Philadelphia PA 7 Nov 1741 on ship Thane of Fife. Johan Nickel Bolander (Nicholas Bolander), age 36. European Records: None found to date. Research note: Based on the name this person’s family may originally have been from the village of Bolanden, Rheinland-Pfalz. American Records: Born 1706 in Germany. Arrived in Philadelphia PA 7 Nov 1741 on ship Thane of Fife. Married to an Anna Maria. Died 18 Jul 1761 in Greenwhich Twsp, Berks Co PA.
Research note: Information for a Johann Nicholas Bolander (1706-1761), died in Berks County PA, found in the following Ancestry.com family tree: http://person.ancestry.com/tree/27739234/person/5054140755/facts There is some confusion with the information at Ancestry.com since it reports his wife died in 1740 in Berks Co PA which would be before he arrived in Pennsylvania. Thus something is amiss either with his wife’s date of death or where she died. Jacob Furtine (Jean Jacob aka Jacob Fortineux), age 20. European Records: Born 2 Nov 1720 in Otterberg (just north of Kaiserslautern), Rheinland-Pfalz (Palatinate), Germany. American Records: Arrived in Philadelphia PA 7 Nov 1741 on ship Thane of Fife. Married 22 Apr 1749 to Anna Marie Kinger. Died 21 Apr 1761 in Lancaster PA.
Research Note: Jean Jacob Fortineux of Otterberg had a first cousin named Marie Marguerite Muller, daughter of Hans Adam Muller and Marie Judith (nee Fortineux) Muller, married on 21 Aug 1376 to George Guilleume Kirchner. That Kirchner family also lived in Otterberg. Given that Jacob Fortineux is listed right next to Adam Kircher/Kirchner on this ship list, and this family connection back in Germany between the Fortineux and Kirchner families of Otterberg, it is a possible clue of where to look for more information. But thus far, no further evidence has been found of an Adam Kircher/Kirchner being found in any records in or near Otterberg. Johan Adam (A) Kircher (Adam Kerchner/Kirchner), age 37. European Records: None found to date. I currently have no good or solid targets as to his village of origin. I do have some theories and suggestions based on traditional genealogy and genetic genealogy hints. One is that he may have been from near the villages of Grossbundenbach, Wallhalben, and Saalstadt which are located southwest of Kaiserslautern, Rheinland-Pfalz, Germany. Other possibilities are for a very small village such as Marienthal or there about which is near and east of the small town of Rockenhausen which is north of Kaiserslautern, Rheinland-Pfalz, Germany. Another area suggested is the east bank region of the Rhein River in the area of Karlsruhe. Another suggested theory is that he was may be related to the David Kircher or Bastian Kircher families of the villages of Helfenberg, Auenstein, and Beilstein (which are located south-east of Heilbronn), Baden-Wuerttemberg, Germany. An Adam Kircher born in 1704 was found in that family line. But multiple people YDNA testing has found no matches to any of the Kircher male lines in that area, or in any area, to-date. YDNA testing has also ruled out a relationship to the Michael Kerchner family of Freudensberg (near Wertheim), Baden, on the Main River. Macro analysis of my YDNA haplotype indicates a low-resolution random gross match in an anonymous European YDNA database to an unnamed male living when tested in the city of Freiburg which is near the Rhine River in southwest Baden-Wuerttemberg, Germany. As can be seen from these leads, all point to southwest Germany which confirms the family oral history that our immigrant was a “Palatine” and part of the Great Palatine emigration to Pennsylvania. Most clues provided by this ship list point to the Rheinland-Pfalz as his Reich State of origin. My personal gut instincts as of Feb 2015, and based on the locations of origin of others on the snow/ship Thane of Fife, is that my ancestor came from some village located in a reasonable radius of distance (~ 40 kilometers) from the city of Kaiserslautern, Rheinland-Pfalz, Germany. Just my gut instinct based on clues in hand thus far. Nothing proven. George (HK) Creim (George Krim/Grim), age 30. Carl Grim (Carl maybe aka Charles Krim/Grim), age 22. Adam (A) Grim (Adam Krim/Grim), age 25. Johannes Boss (Johannes aka John Boss/Boos), age 18. Mattias (O) Kolb (Mathias Kolb), age 26. European Records: of Wallhalben, Saalstadt, Rheinland-Pfalz (Palatinate). Possible church record for him found in Feb 2015 by researcher in Germany: In the Wallhalben church records were found: "Anno 1739 den 13. January Johann Matthias Kolb mit Jungfer Maria Magdalena Näßmannin alhier zu Wallhalben copuliert". Translation: “on January the 13th 1739 Johann Matthias Kolb had been married to maid Maria Magdalena Näßmannin at Wallhalben"
Valentine (O) Esman (Valentine maybe aka Felty Nassman/Neassman), age 19. European Records: of Saalstadt, Rheinland-Pfalz (Palatinate). Possible church record for him found in Feb 2015 by researcher in Germany: In the Wallhalben church records I found: "Anno 1739 den 13. January Johann Matthias Kolb mit Jungfer Maria Magdalena Näßmannin alhier zu Wallhalben copuliert". Translation: “on January the 13th 1739 Johann Matthias Kolb had been married to maid Maria Magdalena Näßmannin at Wallhalben". The CLDS IGI has this entry for Wallhalben: Name: Johann Valentin Naessmann. He may have been a brother to Maria Magdalena who was married to Mathias Kolb. Vallentin Wintersteen (Valentine maybe aka Felty Wintersteen), age 40. European Records: Possible church record for him found in Feb 2015 by researcher in Germany: In the Marienthal (near and east of Rockenhausen) records can be found Valentin Winterstein: "Anno 1741 den 8. Marty ist der Johann Valentin Winterstein gewesener Koch bey der hochgräflichen Herrschaft zu Reipoltskirchen mit Anna Catharina Grillin von mir ........ copuliert worden". Translation: “on the 8th or March 1741 Johann Valentin Winterstein who had been cook at the county of Reipoltskirchen had been married by me with Anna Catharina Grillin”. Ludwig (+) Essig (maybe aka Louis/Lewis Essig), age 22. John Henry (+) Bob (Henry Bopp/Pape), age 30. Anthony (X) Snyder, age 17. Peter (X) Seiner (Peter Sinor?/Snyder? ), age 28. John Sebastian Hub (Sebastian Hub/Hueb, some indicate Hurb/Hurben), age 37. European Records: A Sebastian Hueb 1694 marriage record, possible father of this Sebastian, located in Simmertal. Lenhart (O) Zarburger, age 50. European Records: Possible church record for him found in Feb 2015 by researcher in Germany: In churchbook Marienthal (near and east of Rockenhausen), 1719, Lenhart Sarburger sponsor: “„den 24. Mai hat Johann Georg Diel und seine Frau Catharina, Beisaß zu Marienthal, ein Söhnlein taufen lassen, so den 20. Morgens geboren, Paten waren Johann Lenhard Sarburger und seine Ehefrau von Rockenhausen und Conrad Becker und Ehefrau Elisabeth von Grünstadt, Name Johann Conrad”. Translation: "on May 24th Johann Georg Diel and his wife Catharina, "Beisaß" at Marienthal (Beisaß means that somebody is living there but is not a citizen), had a little son christened, so born in the morning of the 20th, sponsors had been Johann Lenhard Sarbuger and his wife of Rockenhausen and Conrad Becker and his wife Elisabeth of Grünstadt, name of child Johann Conrad [Diel]". John Nicklas (X) Ketch (Nicholas Ketch), age 27. John Georg (X) Weyman (George Whiteman), age 25. Henrich Whiteman (Henry Whiteman), age 37. Hans Adam Whiteman (Adam Whiteman), age 16. Note: My Johan Adam (A) Kircher (sic) listed in the above ship list has been conclusively proven via traditional research and using Y chromosome DNA testing to be related on the direct male line to the J. George Kirchner and Friederich Kirchmer (sic) who were traveling together and were imported to Pennsylvania on the ship Brothers in 1751. That ship Brothers arrived at Philadelphia on 16 Sep 1751. See below link for more details about these two later arriving Kirchner men and ship list for 1751 voyage of ship Brothers.